For the garlic lovers, this dip is a must! Just the right blend of garlic, onion, chives, and herbs. Blend 1 package with sour cream and mayonaise. Serve with fresh vegetables, chips, pretzels, or crackers. (all natural, no salt, no sugar, no MSG, no preservatives). Recipes and tips on package. 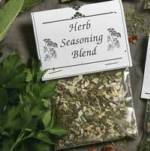 This blend is similar to the Herb Seasoning Blend, but with the right amount of heat. I sell out of this all the time at shows! Excellent on crackers, wraps, pita, french bread, bagles, vegetables, steak, and the list goes on! Blend 2 tsp. with 8oz. cream cheese or yogurt. A blend of oregano, basil, rosemary, parsley, red pepper and spices. Recipe and tips on package. 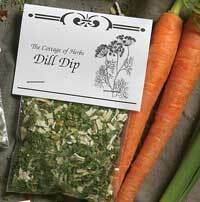 A very popular dip with Parsley, onion, dill, oregano, and spices. Blend 1 package with mayonaise and sour cream or yogurt. Make 1 1/2 cup. Serve with fresh vegetables, chips, pretzels or crackers. Enjoy! Recipe and tips included on label. 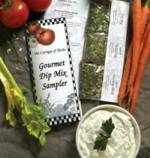 Label contains a hot dip, and a cold dip recipe. I love this blend and it is my best seller! A blend of basil, dill, oregano, and spices. Great on chicken, meat, vegetables, pasta, rice, marinades, and in dips. Mix 1 tsp. seasoning, with 1 garlic clove and 8oz. cream cheese. Serve with crackers or on bagels. Package contains recipe and tips! NEW! This blend is excellent in yogurt! Wonderful served as a dip with vegetables and pita! Great in cottage cheese, hummus, potato salad , bulgur salad, on tomatoes, green beans, chicken, endless! Contains: Tarragon, parsley, dill, chives,mint, lemon ,and spices. (all natural, no salt, no sugar, no MSG, no preservatives). 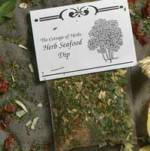 This is a traditional blend of parsley, chives, marjoram, basil and more. This blend is garlic-free, but feel free to add fresh or dried! Wonderful sprinkled on a small plate & drizzled with a good olive oil for dipping your bread! (All natural, no salt, no sugar, no MSG, no preservatives). 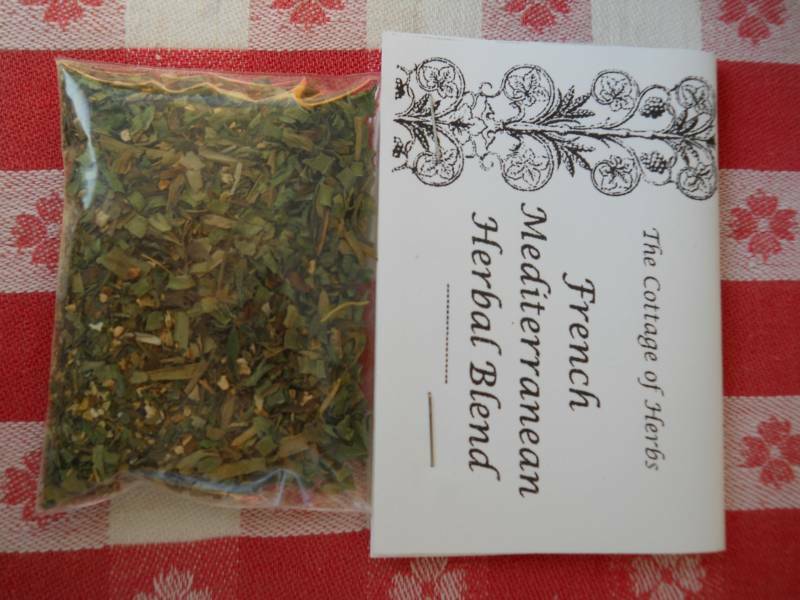 Very popular blend of parsley, garlic, oregano, and spices! Excellent for dipping bread in with olive oil, and also for infusing in olive oil (recipe on package). Use on pasta, veggies, rub on meats. (All natural, no salt, no sugar, no MSG, no preservatives)! Give your food a little kick! Just a right amount of parsley, rosemary ,and spices to give this blend full flavor! Dip your bread in, rub on roasts, sprinkle on potaoes, or veggies! Excellent when pared with a good olive oil. (All natural, no salt, no sugar, No MSG, no preservatives). Use this blend of sundried tomatoes, parsley, basil, oregano, and spices to make quick and fresh tasting pasta. Saute 1 tsp. of mix with 1 Tbsp. or more of olive oil per person and toss with pasta, veggies, seafood or chicken. Easy! Mix comes with recipe and tips. Enjoy! 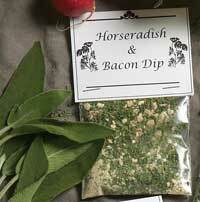 This pack has 3 of our best blends with recipes--Dill Dip, Garlic Herbal Dip, and Herb Seasoning Blend. A great gift for any occasion! (all natural, no salt, no sugar ,no MSG, no preservatives). 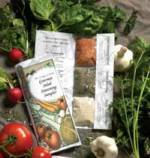 Beautifuly packaged, with recipes and tips. A popular gift , in great packaging with recipes and tips! This blend of lemon, cinnamon, nutmeg, cloves, allspice and more, makes this a wonderful fruit and cookie dip. You only use 1Tbsp. 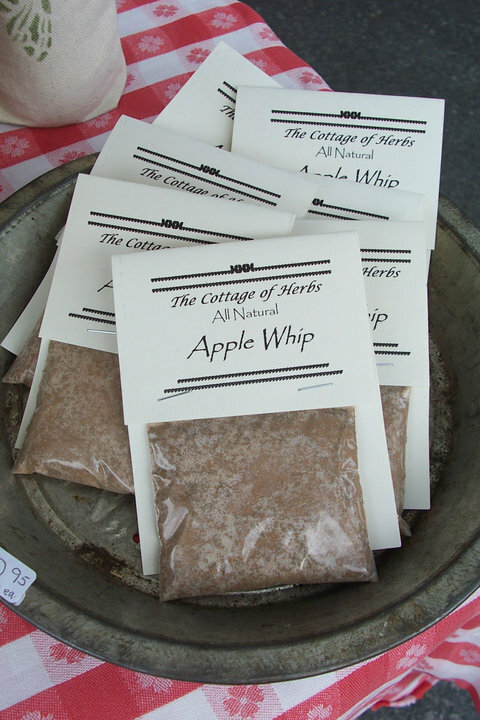 of Apple Whip, blend with 1 cup of cool whip or yogurt! Tip: Blend with yogurt, add fresh fruit and top with nuts!Yumm!!! More recipes and tips on label. (All natural, no salt or preservatives). Our Famous Lavender Cookie Mix! We have been selling this Lavender Cookie Mix for over 20 years! This is our own simple recipe (included on our label) that many tea houses around the country use. (contains no salt, no MSG, no preservatives). 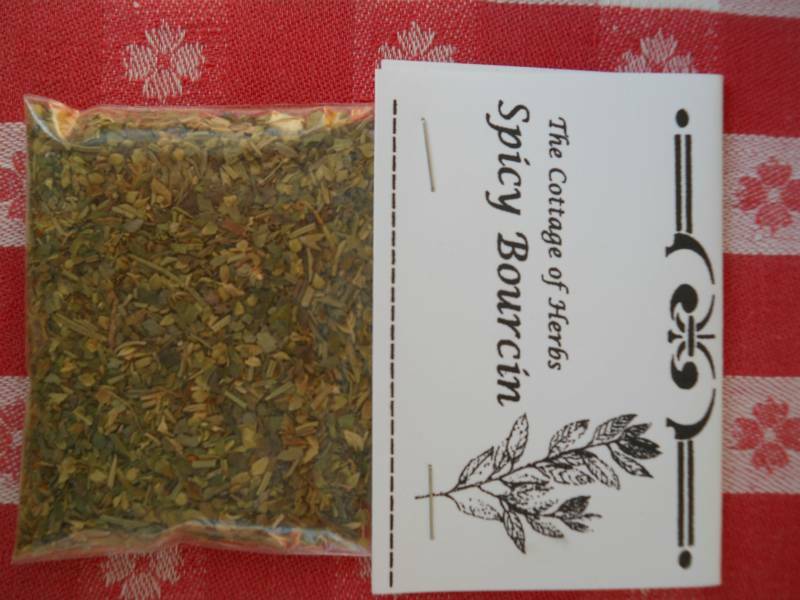 All of our teas and spices are of high quality, and have a great turn over rate for freshness. You can see the color and smell the freshness of these teas! Drinking loose teas has richer properties than tea in tea bags. Relax and enjoy! All packages have steeping directions. Drinking loose tea has richer properties, than tea in tea bags. 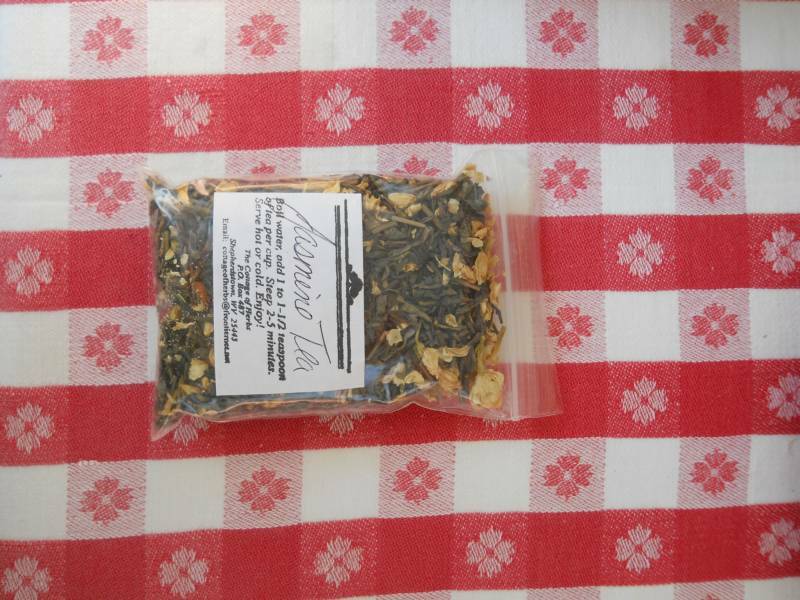 All of our teas are high in quality, and have a great turn over rate for freshness.You can see the difference! Your body deserves it! All packages have steeping directions. Wonderful rich scent with mellow flavors. All of our teas are of high quality. Drinking loose tea has richer properties than tea in tea bags. You can see, taste , and smell the difference! All packages have steeping directions. Nice to use for a cup of tea or a teapot. Stainless steel tea infusor spoon. Squeeze open, put your tea in and put it in your cup, simple. This dry rub will be smoky with a nice bite! Excellent for smoking meats, on seafood, chicken, lamb, tofu, veggies, etc. All of our products contain no salt, no sugar, no preservatives and are gluten free. 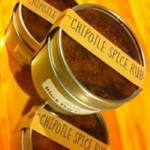 10 different herbs and spices are used for this yummy dry rub! Salt free, sugar free, preservative free and gluten free. Excellent on seafood, chicken, beef, pork, lamb, tofu and veggies! Not spicy.